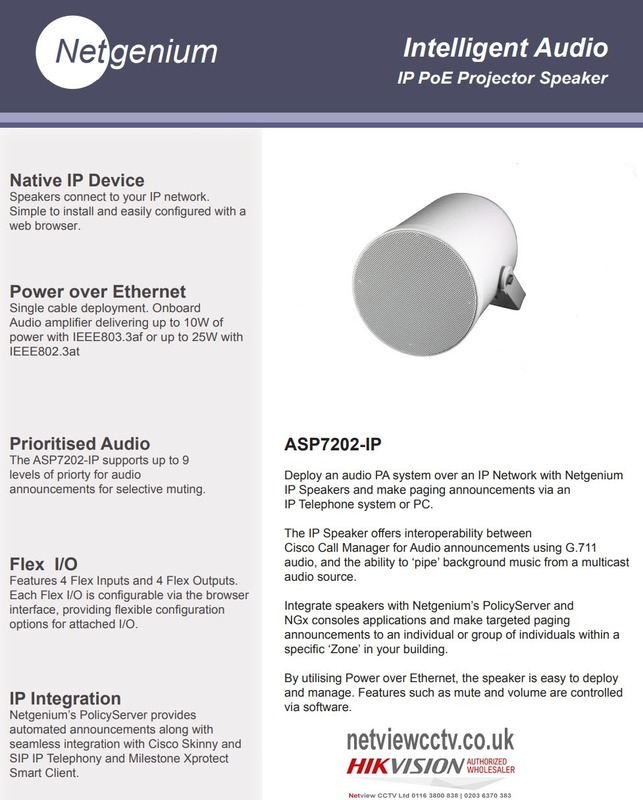 The IP Speaker offers interoperability between Cisco Call Manager for Audio announcements using G.711 audio, and the ability to ‘pipe’ background music from a multicast audio source.Integrate speakers with Netgenium’s PolicyServer and NGx consoles applications and make targeted paging announcements to an individual or group of individuals within a specific ‘Zone’ in your building. Native IP Device Speakers connect to your IP network. 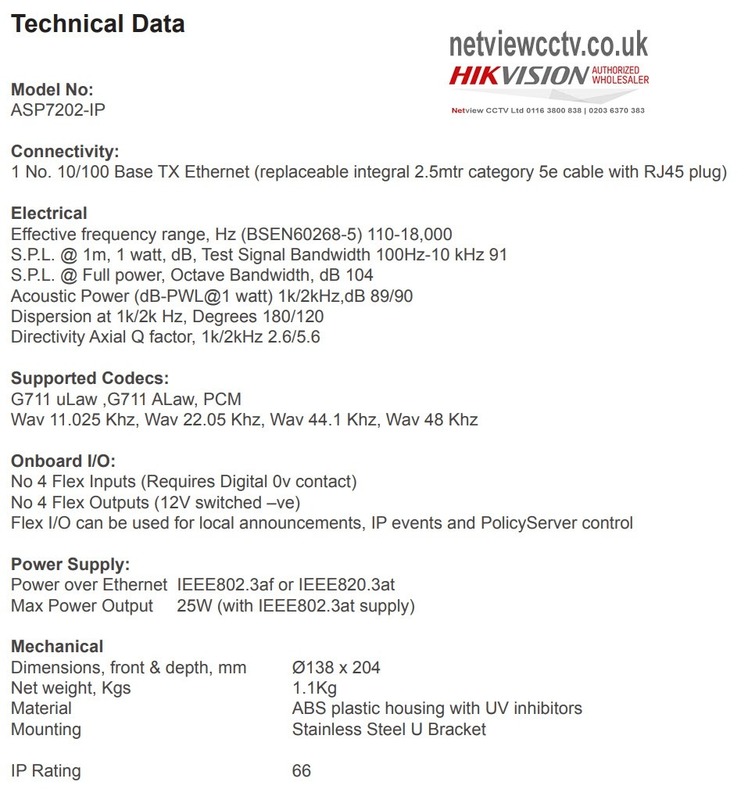 The integration allows pre-recorded audio files stored on the Netgenium IP PoE Speakers to be triggered from events sent across the IP network from the Hikvision NVR.